Football kit designs are going 90’s mad for the 2018 World Cup, as this summer’s tournament looks set to feature a certain retro-feel. The designers at adidas have been going in hard on #ThrowbackThursdays. Their World Cup kits for Russia 2018 have all been inspired by some vintage classics. Even if the World Cup doesn’t turn out to be a classic itself, at least football fashionistas will be able to get an eyeful of some beautifully nostalgic jerseys. Adidas have really stolen the show with their kit designs this year. Whilst Nike smashed it out of the park with their Nigeria kit, their England get-up left us all a little underwhelmed. After seeing the designs of Spain, Germany and Colombia’s new kits, it’s fair to say that the 2018 World Cup could act as an extravagant love-letter to the 1990’s. In 1994 Pep Guardiola and Luis Enrique stepped out at the World Cup in a diamond designed kit, and were never seen again… well, apart from a few managing jobs here and there. The kit for the Spanish new boys - hopeful of lifting the World Cup trophy once again - will step out in a near like-for-like design from ‘94, with the diamond design being updated with a slightly more modern feel. Colombia have also siphoned some of that 90’s nostalgia with a throwback to their Italia 90 design. A true iconic Colombia kit made famous by the hirsute Mr Carlos Valderrama. The kit is still as bright and lively as ever and the famous red and blue wings have been streamlined for a more geometric design. It still reeks of nostalgia – breathe it all in. 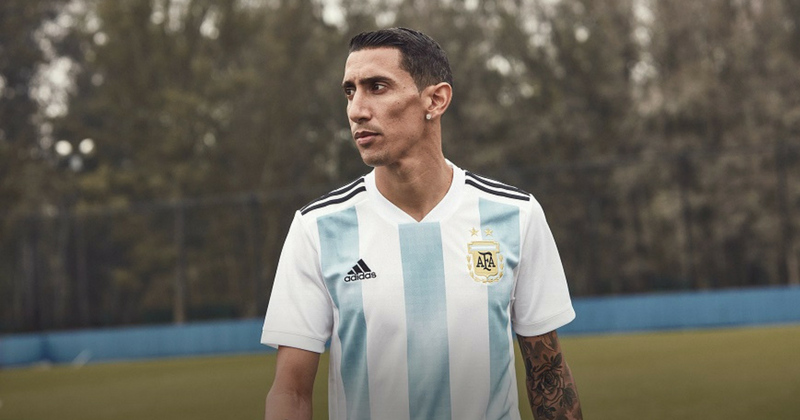 Taking it back to ‘93, adidas pays tribute to the squad that won Argentina’s last major honour: the Copa America. It’s tough to discern the new kit from the 90’s throwback – the two are that similar. Sleek and subtle stripes are the perfect nod to commemorate a famous Argentine squad. Let’s see if Messi can inspire the current squad to a new trophy for the cabinet. Get your hands on one of these retro football kits right here at FOOTY.COM.